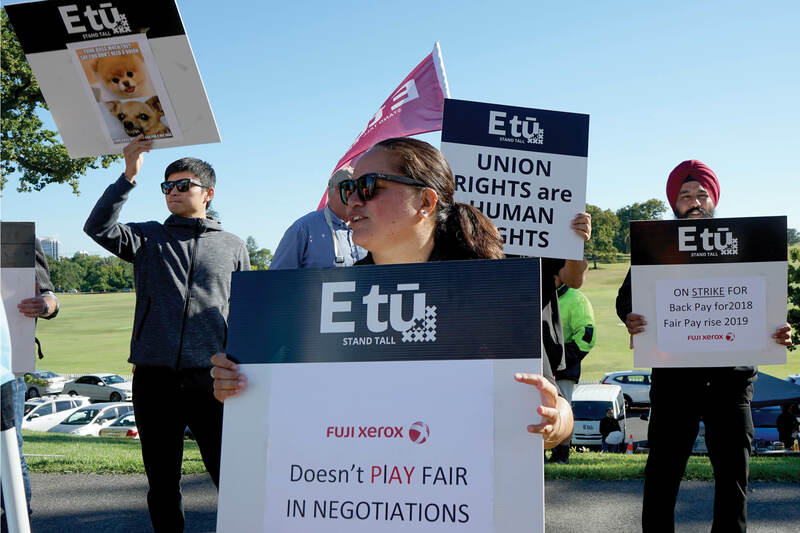 Workers at Fuji Xerox have walked off the job for a third time this morning in an escalating dispute over the company’s absolute refusal to pay backpay on a 2% pay offer. In Auckland, the members went out on strike at 8.30am and will be out until 4.30pm today. In Wellington, Christchurch and Dunedin, members are striking from 8.30am to 5.30pm.